Now Booking for our 2019 and 2020 Seasons! 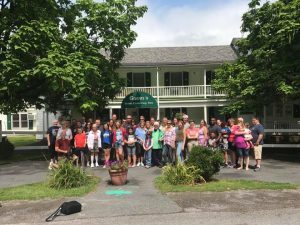 We welcomed more than 75 family reunions in 2018. Select dates are still available for 2019. 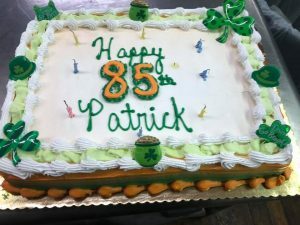 If you are looking for a unique, designed-for-you family reunion or group getaway, call us and we can create a plan for your family or group. 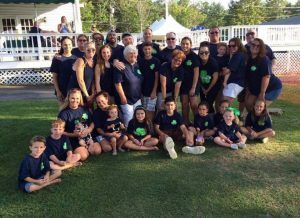 Our Family Reunion package includes 3 days / 2 nights accommodations, (5) home-cooked meals and BBQ Saturday evening, Wine & Beer happy hour from 4:00-5:00 p.m. on Saturday, Free ice cream cones/novelties from 3:00-3:30 p.m. on Saturday, plus family oriented activities daily and Live Irish Music in our Pub on Friday and Saturday nights. Book five or more rooms for your group to stay for two, three, four, or five nights Sunday through Thursday during July and August, and your rates start at only $99/adult per night and $39/child per night! If you book more than 10 rooms, the group leader stays for FREE! Standard rooms: $239 per adult /$109 per child / $189 per teen with 2 adults in a room. Single occupancy rooms are $339. Suites: $359 per adult / $129 per child / $299 per teen based on two adult rates in a room. Rates includes service charges for housekeeping and servers and plus 8% New York State sales tax. ***We require a $1,000 initial deposit within a week of booking (5 room deposits) and the remaining $200 per room deposits within 30/60 days, depending on what your group leader arranges. 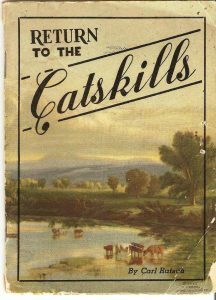 Call us anytime at our Reservation Office 518-634-2582 or Innkeeper Bernadette at 518-755-7488 OR email us at reservations@gavins.com to book your family or group gathering today! 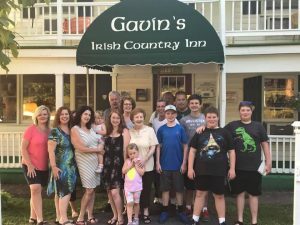 Here are some pictures of recent family reunions held at Gavin’s! We LOVE our Family Gatherings. Book yours today! Family Reunion & Group Getaway all-inclusive packages. Mid-week Packages starting at $99/adult per night. *please note all of our weekends are a two night minimum stay. *all rates are based on double occupancy (two adult rates in one room). 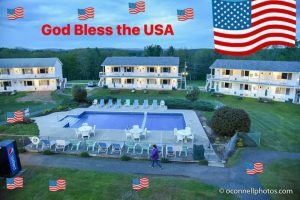 *all package rates include nightly accommodations, 3 meals per day, daily family-oriented activities, evening entertainment, service charges for housekeeping and dining room staff, and are PLUS New York State sales tax. If your room has two or more adults, we are now offering TEENAGE (ages 15-19) discounted rates and CHILD rates for ages 3-14. Children age 2 and under stay and eat for FREE. 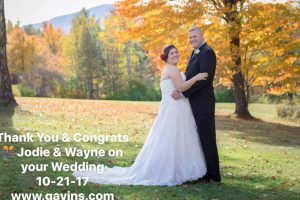 Consider us for a Wedding, Destination Wedding, Anniversary, or even a Birthday Weekend. We have experience in special occasion events and will work with you to create a weekend you’ll never forget. We can also do small company meetings and are the perfect place for company retreats or niche workshops like writing, art, yoga. etc. There is no better place than the countryside to gather your thoughts!